Fire and hot things in any form can cause burns which may be minor or major but burns are always painful. After reading this full article you will know how to treat minor burns easily. Keep the burnt area under cool water for at least 5 minutes. Blisters can form on your skin by burning. Do not prick them. An open blister can easily get infected and become really painful and serious. Apply anti biotic ointment or Aloe vera gel over the burnt area. Cover the burn lightly with a gauze bandage. A cool compress or clean wet cloth placed over the burn area really helps relieve pain and swelling. You can apply the compress in 5- to 10 minute intervals. Try not to use excessively cold compresses because they may irritate the burn more. Honey just got sweeter. Apart from its delicious taste, honey may help heal a minor burn when applied topically. Honey is an anti-inflammatory and naturally anti-bacterial and anti-fungal. Do your best to avoid exposing the burn to direct sunlight. The burned skin will be very sensitive to the sun. Keep it covered with clothing. Don’t use butter on a burn. There’s little to no evidence supporting the effectiveness of butter as a burn remedy. It may actually make your burn more painful. Butter retains heat and also may be harboring harmful bacteria that can infect the burned skin. Coconut oil does not heal everything. For the same reason why you shouldn’t apply butter to your burns, oils, such as coconut oil, olive oil, and cooking oils, hold heat in and can even cause the skin to continue to burn. Never apply toothpaste to a burn. This is another remedy with no evidence to back it up. Toothpaste could irritate the burn and create a more favorable environment for infection. So avoid it. Third-degree burns should never be treated at home. They carry the risk of serious complications, including infections, blood loss, and shock. 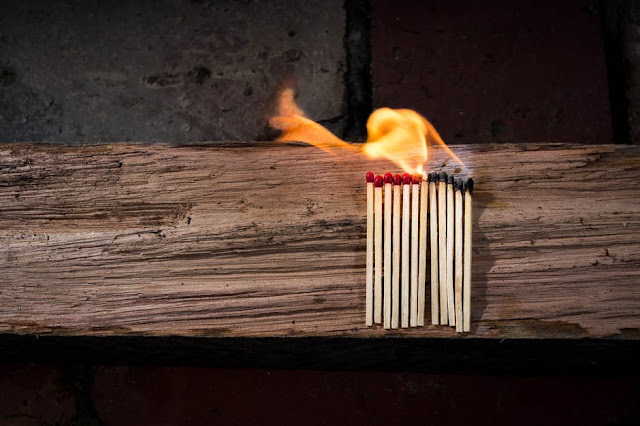 Often referred to as a “full-thickness burn,” a third-degree burn reaches underlying tissues and can even damage the nerves. Burns caused by an electrical shock are also too risky for home treatment. These burns often reach layers under the skin and can even cause damage to internal tissues. The internal damage may be worse than you expect. Don’t take your chances and consult doctor immediately. So whenever there is a burn to your near or dear one follow these home remedies but for serious or major burns contact nearest hospital, doctor or health centre.